Angsty pretty-boys don't look like they're a good investment these days: Yesterday, Square-Enix saw its stock hit a 5-year low after announcing that it would postpone the release of its 2008 earnings report until later this month. According to Bloomberg, the share price of the development house behind the iconic Final Fantasy and Dragon Quest series had fallen 11% on the Tokyo Stock Exchange to 1,936 yen per share - the largest drop since June of 2003. This sudden drop followed the company's announcement that it would postpone its earnings report from Friday, February 6th to Thursday, February 12th. 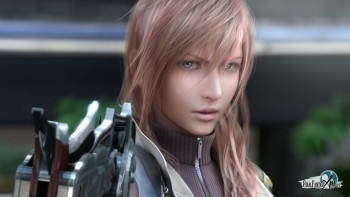 Final Fantasy XIII - 2010...??? Before FF12, the longest wait between entrants in the series was three years at the maximum, between FF6 and the blockbuster FF7 - and afterwards, the studio was churning them out at almost a steady rate of one per year. Even the four-year gap between the earliest iteration of FF11 and FF12 was cushioned by the multiple releases of the MMO across different platforms and different markets. By the time Final Fantasy XIII comes out - hopefully in 2010 - it'll have been the longest wait for an entry in the series since its inception. With development costs skyrocketing for games on every platform - let alone a big-budget franchise like Final Fantasy - it's not hard to imagine that shareholders might be getting impatient for returns that are at least a year away, if not more. Either that, or the Squeenix executives really need to kick that nasty habit of betting on Chocobo races.